Dashpivot enables companies to improve their commercial processes to better document, organise and track site data - reducing costly delays and commercial losses. Used by great commercial teams and engineers on projects of all sizes. Dashpivot commercial management software can help make all of your commercial jobs easier and more accurate. Streamline the daily task and secure recording of daily diaries. Better manage the recording of changes and errors to prove fault. Get better at managing expected and unexpected change. 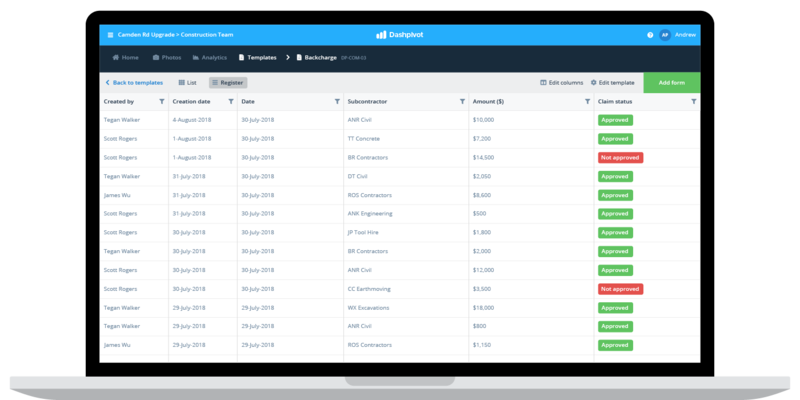 Streamline pre-qualifications to get started on work faster. Track and record those inevitable variations more systematically. Have a full digital record of meeting agenda items. Ensure everything outside the contract scope is organised effectively. Get more accurate real-time data on quantities to make the right claims. Get a more comprehensive real-time summary of all scope changes. Improve site productivity & build bullet proof records of all work through digital site diaries. There's nothing worse than losing or not having evidence of the work completed on a given day. It makes supporting and backing up claims impossible - and loses you money. If you do have all the records, you spend hours reconciling fragmented and unstandardised forms into excel registers. 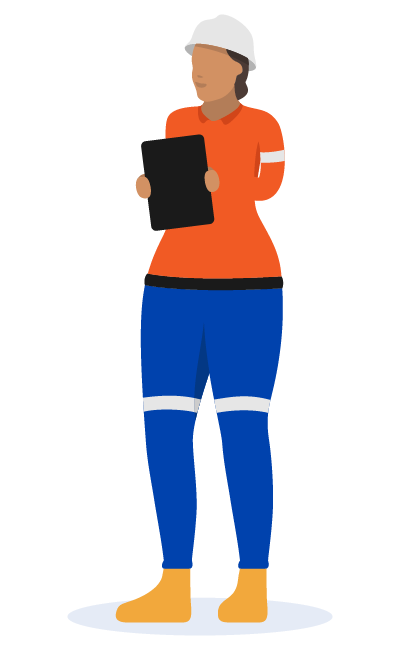 Deploy digital site diaries which engineers, foremen and project managers can access and complete on their phone or tablet in real-time, so nothing gets lossed or missed. Attach the relevant and summary photos & videos of work directly to the daily diary - saving hours of reconciling images back at the office. Automate the creation of custom daily production and costing dashboards, and have full visibility in real-time of what's happening every day. Unlock a systematic process for creating and recording back charges so you always have the information you need on-hand. Without dashpivot, it's almost impossible to create, store and then find charge records over fragmented forms and arbitrary folder structures. 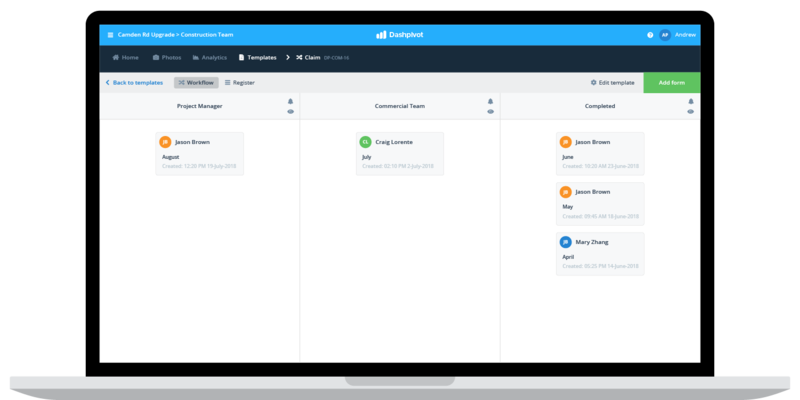 Create standardised workflows between team members which automate the notification and signoff process. Need to find photo evidence of a day or event? Filter through the photo library which can be organised by function, person, location and date. See the back charges per subcontractor and filter for other insights with the industries most reliable analytics. Manage and mitigate those inevitable changes and delays more effectively - saving project time and company money. Very few projects go to plan, which means your processes must be flexible and powerful enough to adapt to change. 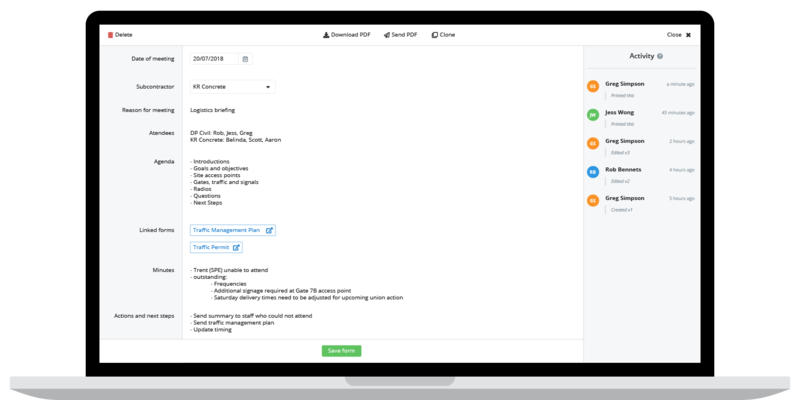 Using Dashpivot software means that you have the document & work structure and automation to see changes as they occur and react quickly enough to save dollars and end-of-project headaches. 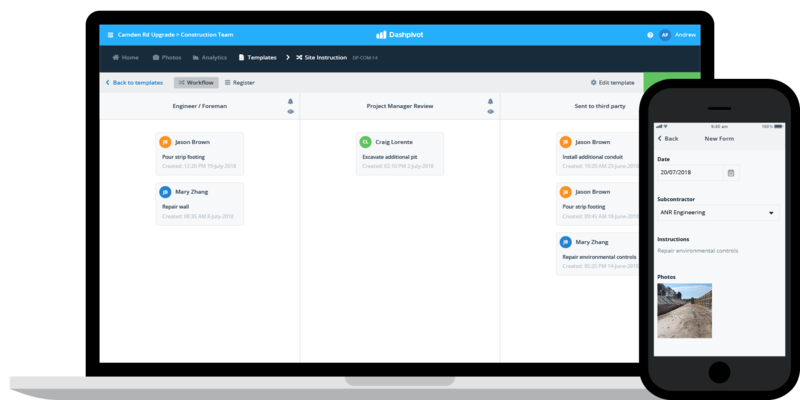 Setup real-time workflows and notifications which trigger back charges and come attached with supporting documentation. Export any evidence or data instantly. 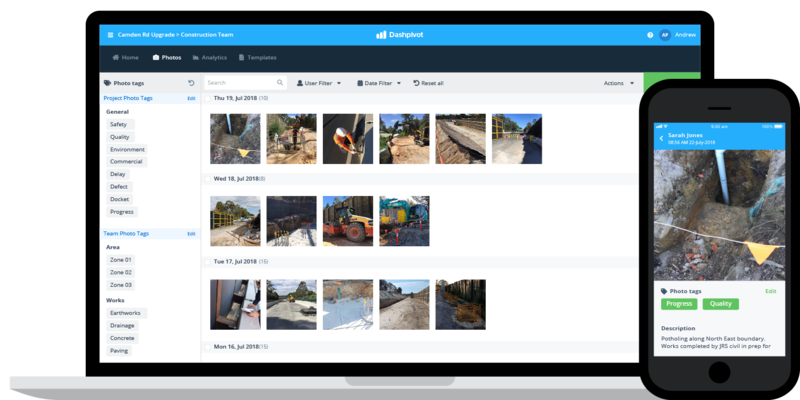 Add supporting delay and change event photos on site through dashpivot's native android or iOS app - so that records are traceable and reliable. Maintain complete oversight of delays and changes - and dive into the details on back charges per subcontractor and other normally missing details. Better record, manage and organise meeting minutes - because you always need them when you can't find them. Easily create and store meeting minutes on laptop or mobile - and then toggle your main dashboard to see all of those meeting minutes perfectly organised in a register. Using dashpivot for meeting minutes gives you an ordered and searchable database of all of your minutes, with supporting information and attachments always connected and available. See detailed records of your meeting minutes and export them for records or sharing whenever required. 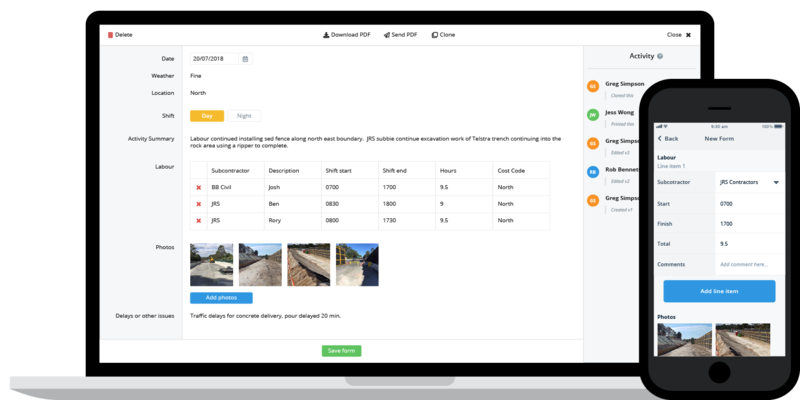 Since the introduction of Dashpivot to our construction team, the visibility and communication through photos and online forms has increased exponentially. Ensure all contractors working on a project have gone through pre-qualification checks, reducing fines and the additional expense incurred in the event of an accident. 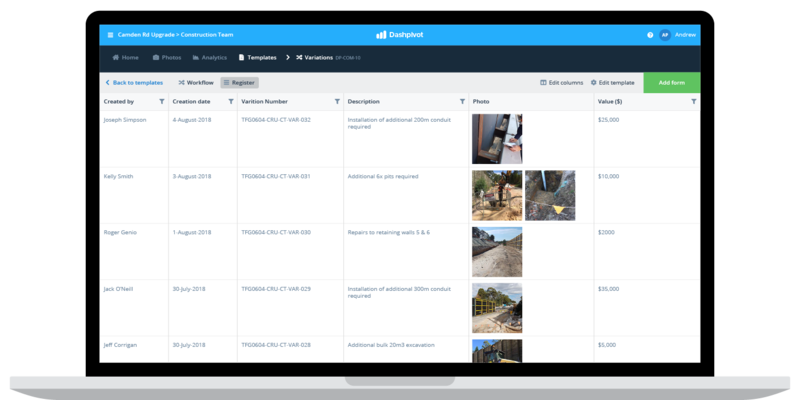 Create standardised processes and standard checklists which engineers and site workers all access and follow when onboarding new partners - ensuring everyone is on the same page and dramatically reducing the risk of error. Provide subcontractors and suppliers with webview access to complete the deployed checklist and signoff. Automate workflows so that reviewers are notified of this activity in real-time. Get dashboard analytics on the number of subcontractors who have been onboarded, where they are coming from and what they are doing. Validate approved site instructions to compare against subcontractor claims - ensuring you don't get unfairly charged. Works which get done but were not included in the original scope can quickly escalate and blow the budget out. Make sure every piece of work which gets done is approved and recorded effectively to save fighting for dollars later on. Mobile access to the correct site instruction workflows ensure everyone knows what they are doing on site. All forms and workflows are ordered into a searchable register for traceability when required. Attach photos of the work completed outside of the scope so there is visual proof of what happened. See data on how many site instructions each contractor has claimed, so that you are able to learn and make better decisions in the future. Managing change orders and mitigating variations is the bread and butter of commercial, Make sure you have the tools to do it properly. Standardise workflows and forms for variation creation and review to better prepare for changes - and arm yourself to make the right decisions on how to address those changes. Setup real-time notifications on change orders and variations to avoid leaving decisions unmade and losing time and money. Access a library of supporting photos and other media which help explain variations and prove the work that was done. 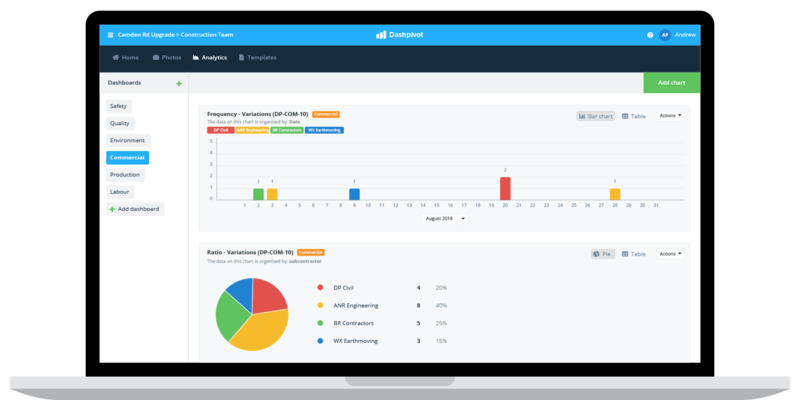 See the number of change orders or variations taking place by function, project and team in automated dashboards - so that you can see how to improve and make the necessary changes. Utilise smart software for recording and sharing claims with your team to avoid missing critical information. Poor claims creation and management is costing you serious money. Get your records and proof in place to make sure the claims against you are fair - and that you have the info you need to validate your own. 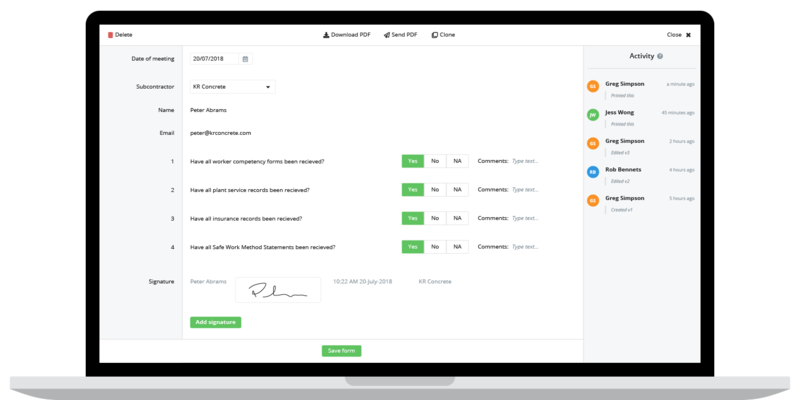 Create automated workflows for claim creation, review and signoff to ensure the approved standardised process is followed every time. Relevant photos and proof are on hand and searchable via tags and filters whenever you need them. Get deeper analytics and insights on claimed quantities and see exactly where the majority of claims are coming from. Reduce the risk of liquidated damages and loss of approved contract time. Build a streamlined process for creating, tracking, and approving extensions of time (EOT's), so that when you have to compare them against claims - you know everything is where it should be. Customise EOT worklflows to improve the internal flow of EOT's between team members - and grant permission-based client access for real-time signoff. Forms and workflows are linked to supporting photos and evidence for traceability and clarity. Get real-time analytics on all of your EOT's with beautiful dashboards and downloadable reports. Dashpivot software is flexible enough to handle even more commercial jobs. Book a demo to tell us about your use case or simply get started now.